7 Cardboard Warriors Forum Publishers have come together to launch a papercraft bundle for earthquake relief in Nepal. For just $15, you can get over $90 in value! 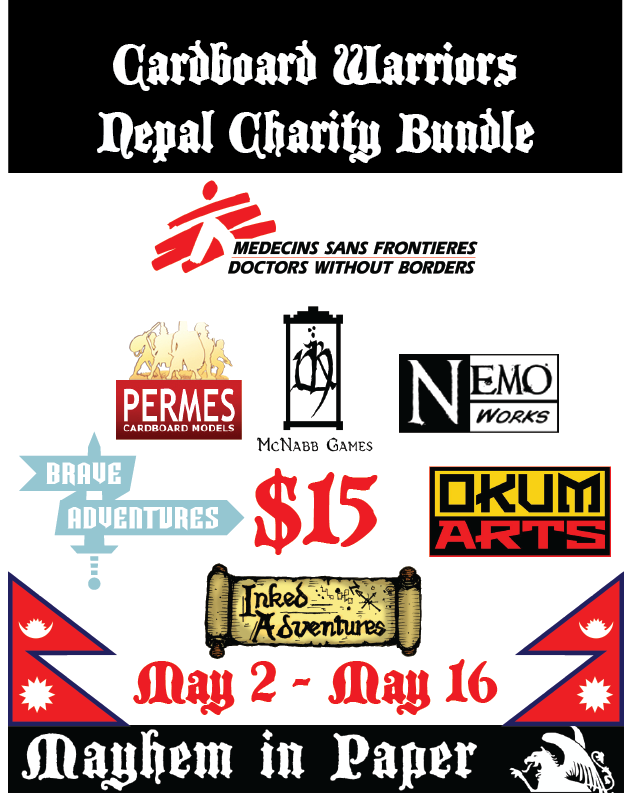 All proceeds minus transaction fees will go directly to Doctors Without Borders’ earthquake relief efforts in Nepal! This entry was posted in Uncategorized and tagged Nepal on May 2, 2015 by squirmydad.